Sacraments of Initiation and Reconciliation, for Children. 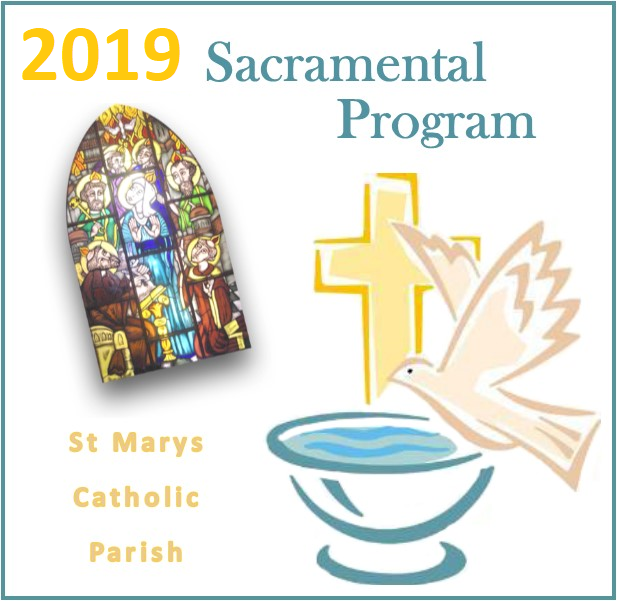 Parents/Guardians you are invited to present your child/ren for the Parish Sacramental Program when you feel that your child is ready. This readiness is usually around the age a child is in Grade 3. The Sacraments of Initiation – Confirmation and Eucharist are preceded by the preparation for and celebration of, the Sacrament of Reconciliation. When you presented your child for the Sacrament of Baptism you began, for them, a journey in faith in Christ, in the Catholic Tradition. The next step in your child’s initiation is Confirmation, when Baptism is confirmed in the Holy Spirit. The reception of Eucharist completes your child’s initiation in the Church. They are now able to participate fully at Mass with Holy Communion. Each year preparation and celebration of Confirmation is around Pentecost Sunday in second term and preparation for, and celebration of, First Holy Communion is during third term. The Reconciliation program is run during Lent in first term. Each program begins with an information night for parents/guardians. All dates are made at the beginning of each year and they are listed below. Candidates are required to present a copy of their Baptismal Certificate at the beginning of the program. There is a cost to cover Booklets etc for the year. Of course like any initiation process, this is just the beginning of a life long journey in faith for your child. A journey that requires support, example and love on your part as well as that of the Faith Community.